The second day of the fair was a little quieter, so me and Laurie took it in turns to explore. As an avid people watcher, the fair was like a candy store for me, happy to observe the day unfolding while L circulated the stalls. 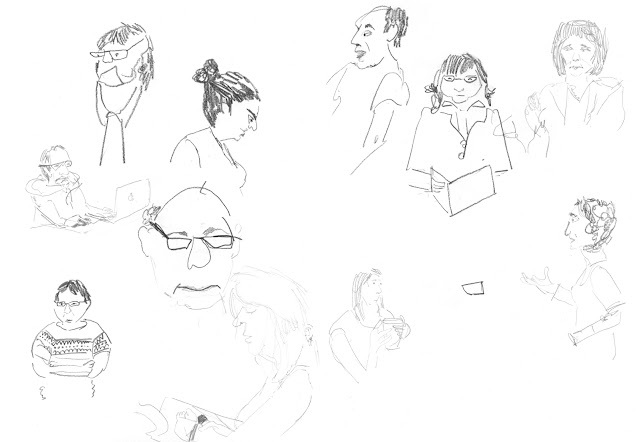 There were exquisite moments happening everywhere I looked, strange, lovely, sometimes funny, always personal moments between people and each other, as well as between people and paper. 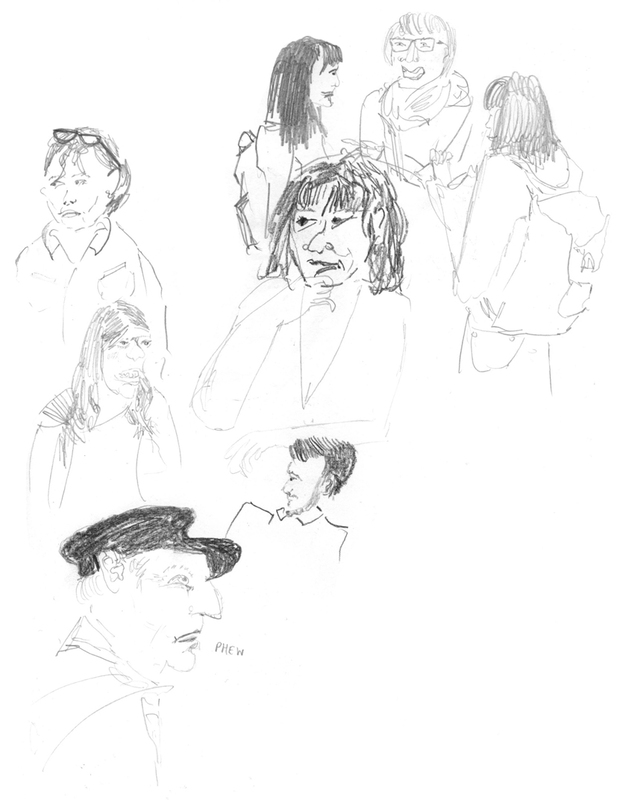 Grabbing the camera to snap up little fleeting events and expressions, I also enjoyed hastily drawing some of the characters to be found at the fair. I sometimes dismiss such swift studies in favour of capturing more detail at a later date, but I think these scrawls reflect the intimacy and pace of the fair as they were made in the moment. 10 points for spotting Frida Kahlo.